Johan Løje is a Partner of the IP boutique Law Firm Løje, Arnesen & Meedom, Copenhagen, Denmark. He is an expert in IP law with an emphasis on Patents, Designs and Trademarks. 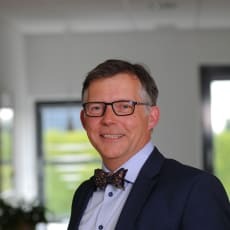 Johan has more than 25 years of experience in advising on complicated IP law matters and regularly represents clients in pleadings before the European Court of Justice as well as before Danish courts. He is an associate Professor at Copenhagen University and a member of the advisory board for the Centre for European Studies in Economic Law” (CESEL) at Copenhagen University, School of Law. On several occasions he has been appointed as expert for the European Commission on IP and Unfair Competition in joint programs with the Republic of China and is counsel for members of the Danish Design Association. Johan is furthermore ranked among the top litigators in Denmark in several international reviews.